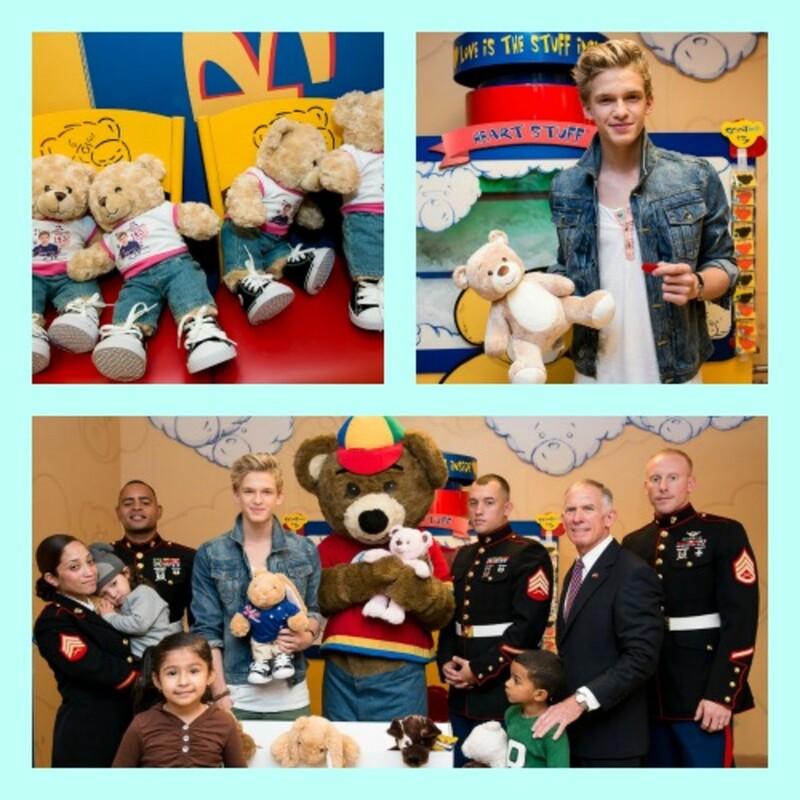 This weekend you and your kids can give back and create a furry friend at Build a Bear Workshop to donate to U.S. Marine Toys for Tots Foundation who will distribute to kids in need in communities across the country. The first 100 guests at each of its U.S. stores to will be able to create a stuffed animal for free and give back to those in need. During the Stuffed with Hugs&apos;?¢ weekend (currently in its eleventh year), more than 25,000 furry friends will be made and given to less fortunate children where guests will also enjoy a variety of weekend activities celebrating the 15th birthday of Build-A-Bear Workshop. Participants in Stuffed with Hugs weekend will be able to meet Build-A-Bear Workshop mascot, Bearemy® and enjoy a variety of 15th birthday celebration activities. As a thank you for helping, Stuffed with Hugs participants will receive a bounce back coupon for a future visit. The need to brighten a child&apos;? ?s holiday is greater than ever this year, according to retired Marine Corps General, Pete Osman, chief executive officer of the Marine Toys for Tots Foundation. A recent U.S. Census Bureau report cited statistics that reveal that more than one in five children under 18 years old (or 16.1 million children) live in poverty. The report also showed a yearly decline in median household income. As a thank you, guests who participate in Stuffed with Hugs will receive a coupon for $3 off their own furry friend. The stuffed animal making process will take place during regular store hours each day and continue until all 100 furry friends are made in each store. Stuffed with Hugs will take place during regular store hours and U.S Marines may be on hand to collect the stuffed animals. For store hours and locations visit www.buildabear.com.